There's certain cities that I never tire of. Liverpool is one of them. Okay, so I suppose it helps having friends who live there but on paper, it's pretty damn special. The culture, the docks, the space, the people - I guess this is starting to sound like an advert for the Visit Liverpool tourist board, but I promise you, it's not. 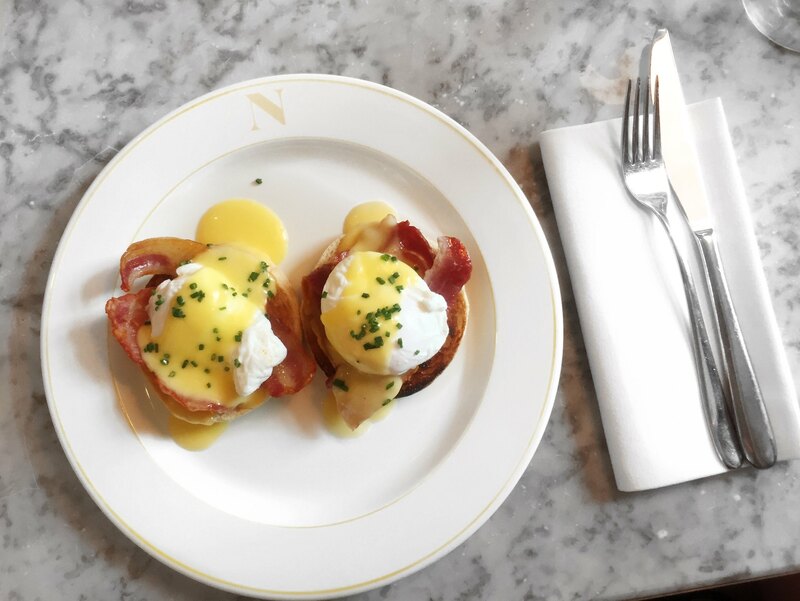 Instead, it's a food review, brunch in particular, because if you've been a long time reader of my little blog, you'll know I'd sell my left arm for a plate of Eggs Benedict. Who'd have thought I'd have been so into hollandaise sauce hey mum? 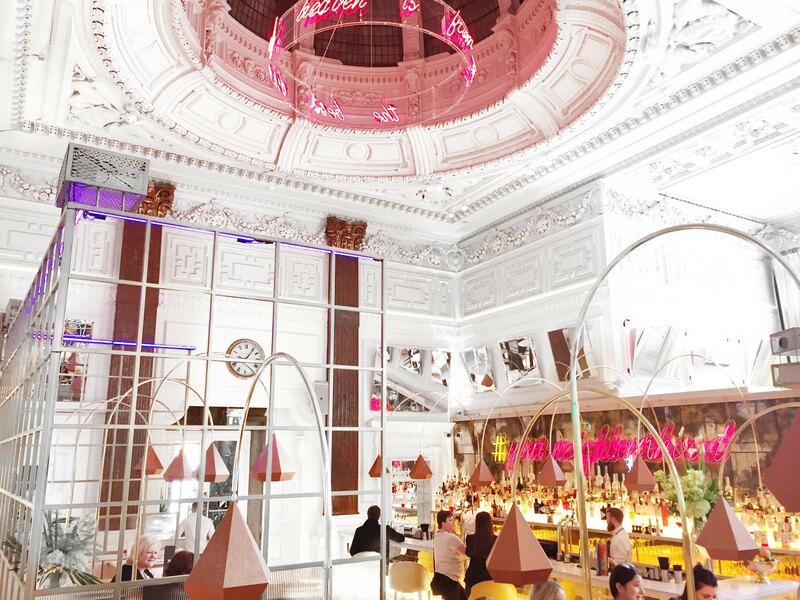 I've been to the Neighbourhood in Manchester a whole lotta times (review of that one right here) so when they landed in Liverpool, off we went to check it out. If you're a fan of architecture, it's worth a visit alone just for that. Set in a stunning Grade II listed building, built in 1868 as an ex bank, it's bursting with history and look at me features. 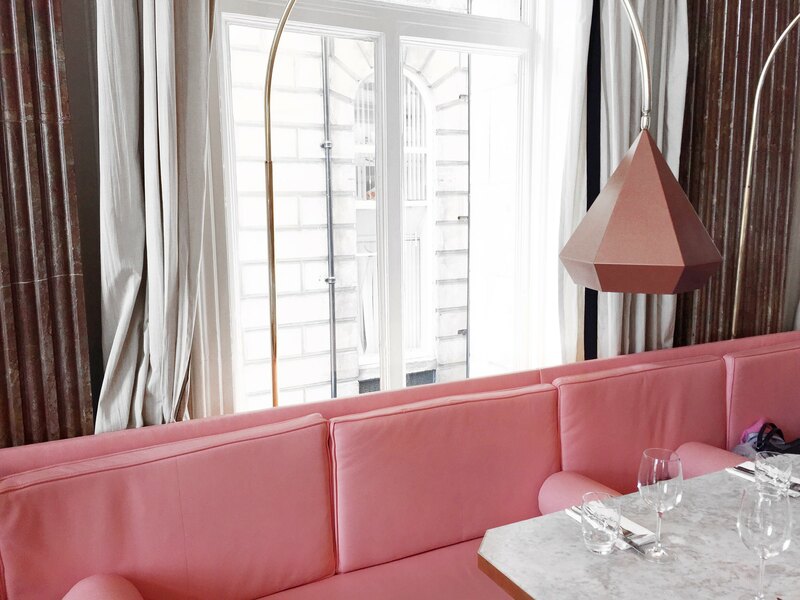 Light pours in at every angle with huge windows, providing the perfect spot for lazy weekend brunches and yes, it looks damn good on Instagram too. In true Neighbourhood style, its interior is what excels. 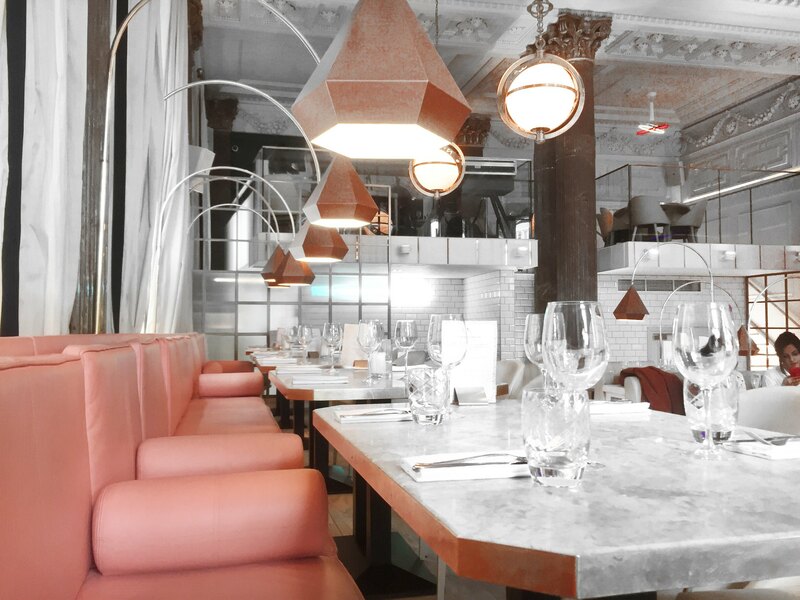 Girly hints of pink and sunshine yellow booths adorn the restaurant mixed in with marble tables and neon signs - basically a photographer's dream. And yep, the usual live entertainment continues by the Mersey - we were treated to an acoustic live set which is my idea of heaven. Add that to an impeccable welcome from all of the staff and you most definitely know you're in Liverpool. 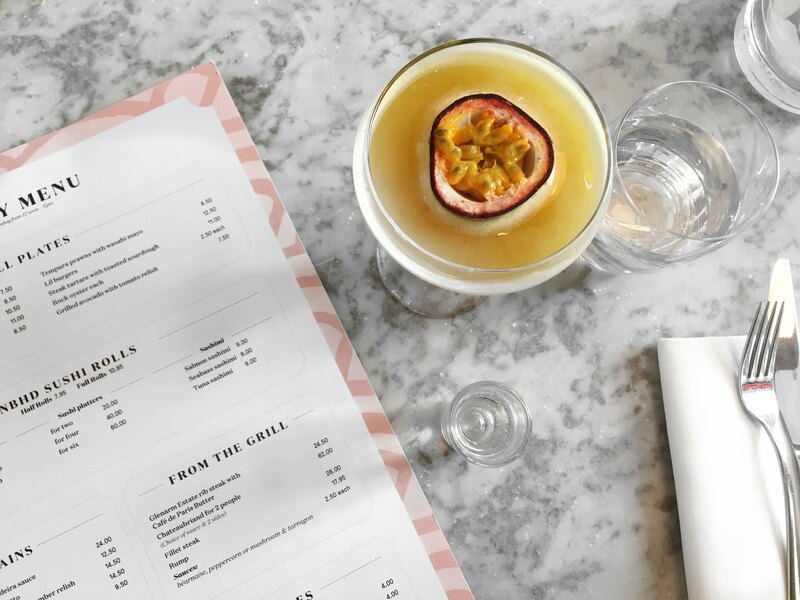 In a bid to try Eggs Benedict everywhere we go, that's exactly what I ordered with a side sipping of a Pornstar Martini, or three... Alcohol doesn't count on the weekend right? The hollandaise sauce was beautifully rich and the portion size spot on for someone like me who struggles to finish a plate - plus the poached eggs were cooked to perfection and we all know how hit and miss they can be when you're eating out. That alone is an achievement. And as for the Pornstar Martini, I ordered three so it's safe to say I was sold. Probably not a spot your boy will appreciate as much as you, so grab the girls and brunch in the AM and head back for party vibes come the PM.